Studio 60 on the Sunset Strip is an American comedy-drama television series created and primarily written by Aaron Sorkin (The Newsroom). The series takes place behind the scenes of a live sketch comedy show (also called Studio 60 on the Sunset Strip or Studio 60) on the fictional television network NBS (National Broadcasting System), whose format is similar to that of NBC’s Saturday Night Live. National Broadcasting System is owned by the TMG Corporation. The show-within-a-show is run by executive producers Matt Albie (Matthew Perry, Friends, Go On) and Danny Tripp (Bradley Whitford, The Good Guys, The West Wing, Transparent). Matt serves as the head writer and Danny produces the show. 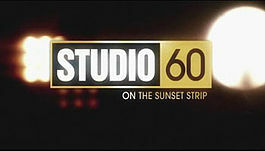 Studio 60 on the Sunset Strip ran on NBC for 22 episodes, from September 18, 2006 to June 28, 2007. 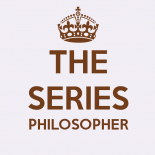 To date, it is Aaron Sorkin’s only TV series not to air for more than one season. Matt Albie (Matthew Perry) is a former writer for Studio 60 who takes over production along with long-time friend Danny Tripp, as executive producer and head writer. He is also Harriet’s ex-boyfriend, a status he seems, on some level, to wish to change. Jordan McDeere (Amanda Peet, Jack&Jill, Bent) is the recently hired president of entertainment programming of network National Broadcasting System, of which Studio 60 is the flagship show. Harriet Hayes (Sarah Paulson, Jack&Jill, American Horror Story) is a “multi-talented” performer, a devout Christian, and one of the “Big Three” main stars of Studio 60. She is also Matt Albie’s ex-girlfriend. She also dated Luke Scott, a former writer (and Matt’s rival) at Studio 60, now a big-time director. The character of Harriet is partially based on Kristin Chenoweth, whom Sorkin previously dated before she worked on The West Wing. Tom Jeter (Nate Corddry, United States of Tara) is another of the show’s “Big Three.” He is from the Midwest, and his brother is serving as an airman in the US Air Force who is deployed in Afghanistan. During the course of the show, he begins dating Lucy Kenwright, one of the staff writers. Simon Stiles (D. L. Hughley, The Hughleys) is the final member of the “Big Three.” An alumnus of the Yale School of Drama, his original intention was to become a dramatic actor, rather than a comedian. Jack Rudolph (Steven Weber, Wings, Wilfred, 2 Broke Girls) is the chairman of the National Broadcasting System, and Jordan’s boss. During the course of the show, he and his wife separate.